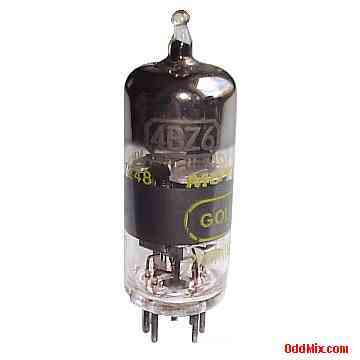 This is an original OEM Motorola Golden 4BZ6 Semiremote Cutoff Pentode electronic vacuum tube. This seven pin, all glass, miniature type used as RF or IF amplifier, usually in class-A configuration in many instruments, radio and television (TV) receivers. Excellent part for antique radio, instrument or television restoration, experimentation, circuit research. It is an OEM tube without box, unused, excellent condition.